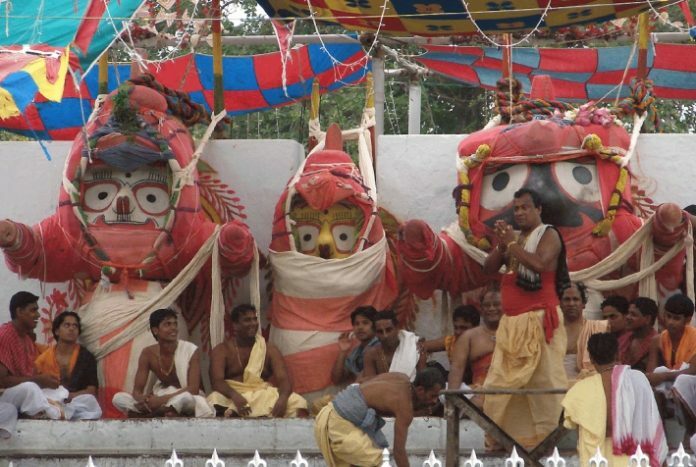 Puri(Samaya Bureau): The dusts raised over the delay in pulling of the three chariots of the Trinity have hardly settled down when another controversy has emerged. This time over ‘darshan’ (to have a glimpse) of the three deities at Adapa Mandap inside the Gundicha temple here. It has now been alleged that the Daitapati Niyog has sold fake tickets to devotees for evening darshan of Lord Jagannath and his siblings at Adapa Mandap, a day before the Bahuda Yatra. It may be noted that tickets for darshan of the deities on the Adapa Mandap are sold out to devotees only a day before the Bahuda Yatra. While the Jagannath temple administration sells 80 per cent of the tickets, the Daitapati Niyog sells the rest 20 per cent. The entire money collected from selling of tickets is given to the servitors’ body. However, it has been alleged that the servitors body flouting all the rules have issued and sold out large number of fake tickets for the darshan of the deities.